MongoDB has a nice guide for getting started with running mongoDB in EC2. 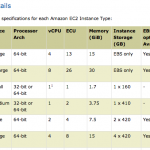 This article presents some additional enhancements for increasing performance while lower storage costs in EC2. A subsequent installment presents techniques for deploying replica sets and auto-scaling nodes. Many sources, including the MongoDB guide linked above, recommend using EBS-backed volumes. 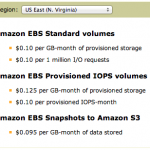 “For production systems we recommend using EBS-optimized EC2 instances.” EBS backed volumes indeed provide the convenience of data persistence across instance reboots. 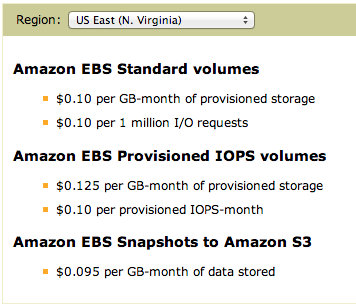 However, since EBS volumes are network-based, they come with a performance penalty compared to EC2’s ephemeral-based (aka “instance”) storage. 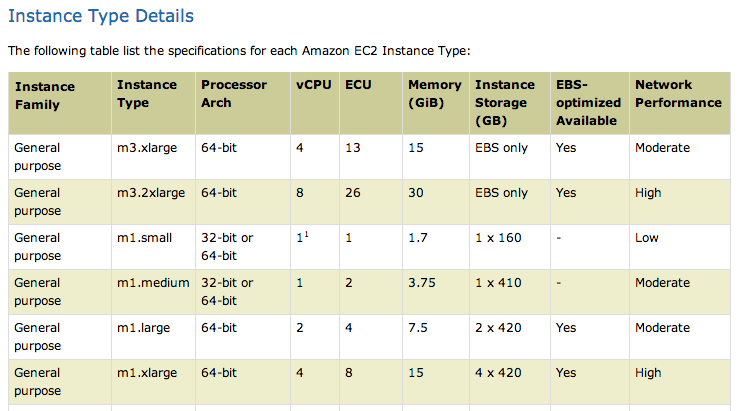 By default, EC2 instances (excluding smaller or specialized instance types) come with ephemeral storage. Size ranges from 160GB (for an m1.small instance), to 840GB (for m1.large), to several terabytes (for larger instances). These ephemeral stores are associated with space reserved on physical storage attached to the underlying instances, made available at boot time and persistent for the life of the machine instance. Because the instance space is accessible via the system bus on the host of virtual, rather than over the network for EBS volumes, disk performance is higher. This i/o performance is critical to the performance of NoSQL datastores as documented in MongoDB Write Performance. For this reason, when using EBS volumes, the recommendation is made to utilize IOP (i/o provisioned) EBS volumes to ensure a specific levels of I/O performance on the networked EBS volume utilized by Mongo. IOPS (IO provisioned storage), however, brings additional costs both in the form of monthly per GB and per IOP fees. Storage performance was measured using hdparm on three separate EC2 instances, one running MongoDB on a default EBS volume, one on a 200 IOPS provisioned EBS volume and one running against an instance store. Default EBS volume performance is 100 IOPS. Default instance store performance is ~300 IOPS. EBS volume performance above the 100 IOPS level can be guaranteed by purchasing IOPS provisioned storage at additional cost. Here’s a comparison of the cost of ephemeral vs. instance storage in EC2, for 400GB of underlying storage for use as a MongoDB store. MongoDB supports several different mechanisms for replication, including master/slave, replica pairs and replica sets. As of MongoDB v1.8, the preferred mechanism is replica sets. In the next installment of this article, I talk about EC2 deployment of MongoDB replica sets and how the cost benefits and high performance of instance storage can be realized while minimizing or mitigating the risk presented by ephemeral storage. I’ll also talk about how replica set nodes can be quickly deployed and initialized in order to achieve a level of auto-scaling and fault tolerance in a production environment, with nodes deployed in sufficient number and across EC2 availability zones to ensure high availability.